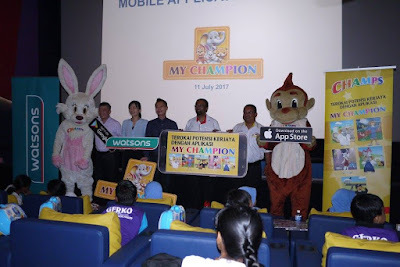 Our favourite child health supplement brand, CHAMPS has launched a fun and educational mobile application – MYCHAMPION at MBO Cinema @ The Starling Mall, uptown today. This user friendly mobile app is designed for children aged 7 to 12 years old, and help them understand and explore their ambitions through the digital platform. Every young child has a little ambition, I dreamed to be a doctor while I was a children, what about you? However, many of us did not achieve our childhood ambition because we were unsure of how to realize it at a young age. 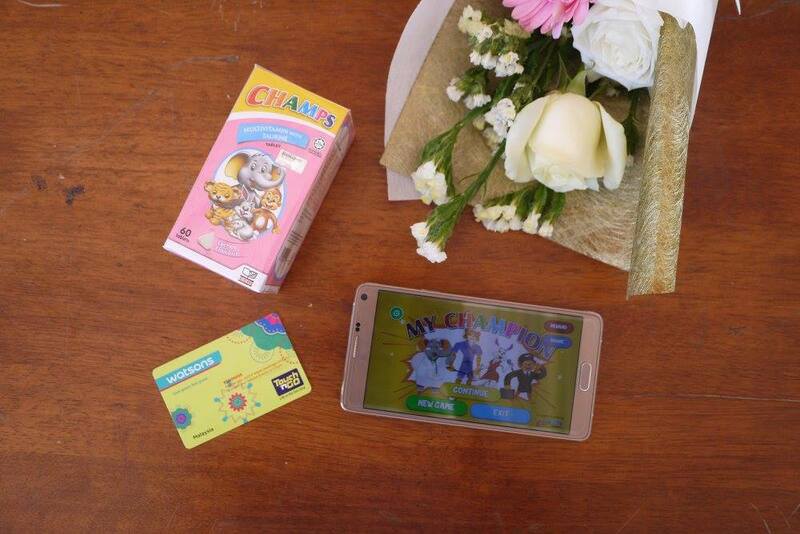 CHAMPS, Malaysia's household well-known child health supplement brand, always believes in nurturing champions since young. With it's brand's statement “Mother's choice for champions” leads the brand's initiative to provide the best in developing children's growth mentally and physically from product offers to marketing activities over the years. 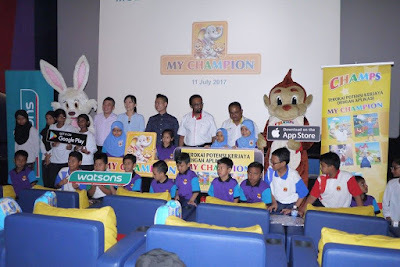 MYCHAMPION, the first localized and educational mobile application was developed in line with Ministry of Education Malaysia's vision, which is to uphold quality education system that develops individuals to their full potential and fulfills the aspirations of the nation. Present at the MYCHAMPION mobile app launch was Mr. Billy Urudra, Chief Commercial Officer of CCM Pharmaceuticals Sdn. Bhd., En. Shamsul Idham Ahad, General Manager of OTC Business, CCM Pharmaceuticals Sdn. Bhd., Watson's Management team, CCM Members, media representatives and students and teachers from SK Kampung Jawa. MYCHAMPION mobile app is easy and straight forward to use. 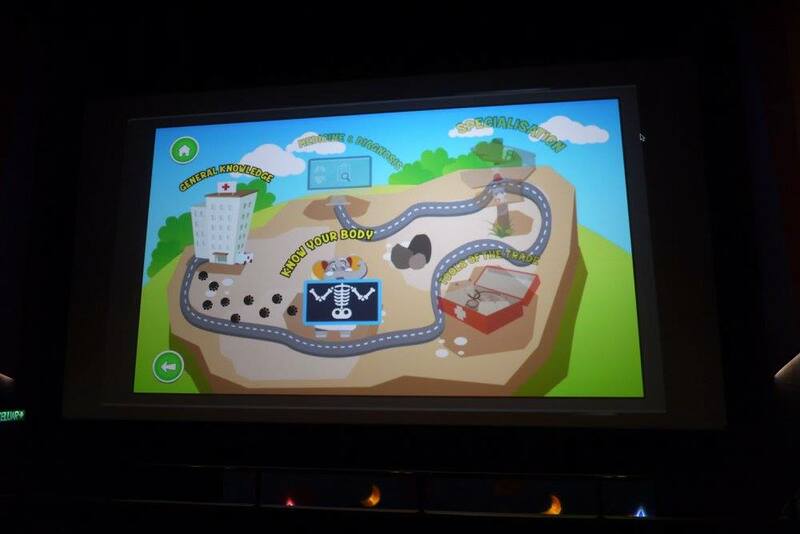 Consist of 5 professions which are Doctor, Athlete, Celebrity, Pilot and Chef, the children get the chance to explore and learn about the different occupations in 5 various scopes. The content is designed with a series of interesting and mind-triggering questions to engage the children and help them to learn beyond the school'd curriculum. There's even a 'Did You Know' section which provides fun facts to help improve children's understanding of each profession. With this partnership, CHAMPS is having an exclusive Facebook contest where customers can win Virtual Reality set, special Champs promotion at Watsons and many more marketing activities to excite and reward the users. Available in Bahasa Malaysia and English version, MYCHAMPION is a FREE mobie app hence quickly Download it now at App Store and Google Play Store. Yeay.They have their own apps now! Waa~ You're getting pretty leh dear. First photo look like Korean star. What a wonderful way for kids to explore what they would like to do when they grow up. Sort of like Kidzania, eh? But cheaper. 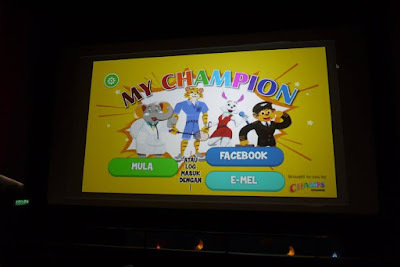 Seem fun activities for kids and they get to explore more information regarding health and also a game by download my Champion app. I will let my kids try out the MYCHAMPION app. Looks like a good learning app for children.